Increased website hits and traffic are extremely vital to the growth and success of any business in the era of technology this world has progressed in. Most of the professional websites have been continuously investing in SEO to increase traffic to their sites, and why shouldn’t they? After all, it does yield higher site rankings, conversions, revenue, and turnover, thereby painting a lucrative picture because website traffic causes ripple effects that every business thrives to be a part of. Although SEO driven site traffic is the most popular and often the first thought to put into action, it is neither the only way to drive traffic to a website nor the safest approach to rely on nothing but SEO. Every business must ensure that traffic to their sites is pouring in from multifarious areas, so their sites still remain in good ranking even after the timely Google Dances when all websites are re-indexed for searches. Site traffic is always more when users are in a huge number and what better place to find an audience that just keeps growing? As of late, 74% of consumer’s purchases have been influenced by social media (Sprout Special), hence it would be no surprise to say that social media is the newest trendsetter in driving site traffic. Some of the well-known niche businesses started as groups on FaceBook, so needless to say, social media is a reliable brand builder as of today. On one hand, businesses can opt for paid advertisements on sites like Facebook and Instagram, or they could resort to social marketing by paying famous bloggers and vloggers to integrate their content, or they can even pay people for starting trends on Twitter, thereby creating hype for their products/services. Social media is a huge domain, and how it can be utilized to drive increased site traffic depends on how imaginative a business can be. Video content, although currently a niche in driving website traffic, has started to gain some popularity recently. According to HubSpot’s report on State of Video Marketing, 76% of marketers stated that video content did indeed increase site traffic. The obvious explanation to this is the fact that a majority of the people (especially the youngsters) are willing to watch videos rather than reading the verbose text – no matter how persuasive it may be. Simply put, videos can integrate a hefty amount of content and deliver it in the most creative of ways in only a few minutes. So businesses can make advertisements, brand videos, demonstration videos or even offer webinars, all of which are certain to ensure user engagement and increase site traffic since visual content is always more convincing and appealing to customers. A bonus tip: videos should be symbolic to appetizers; make them in a way that they leave users reaching out to your website to get more of them. Blogging for other similar websites serves 2 primary objectives. a) It serves as a magnifying speck of reflection of your own website in this huge corporate world, and b) it acts as a gateway to your own website by establishing inbound links to your website from the sites that you blogged on, thus increasing traffic to your website. Aside from this, guest blogs are also good for PR as they showcase your expertise in your area of work/knowledge, so chances are that more readers might want to view some of your other blogs on your own website. To make this work in your favor, it is important that you guest blog for businesses similar to yours and websites that yours share a common audience with. After all, success is a team effort and to ensure you get yours, partnering up with those you can trust is a viable action for increased SEO ratings and site traffic. undoubtedly, digital ads are one of the most powerful mechanisms for customer conversion. It is a cookie-based approach further segmented into retargeting and remarketing, both of which work on user history analysis by taking into account the user’s last visit to the website, their interaction with it and their duration on a particular webpage. This analysis is further used to either retarget those users by showing them ads to encourage their revisit to the website or remarket the site’s services/products to those users by dispatching them selective emails as per their past activity. What’s more is that core machine learning can be further employed here to learn trends in user activity on the website via click logs and more which can be utilized in showing them personalized ads (of products/services they are most likely to buy) or sending them emails tailored to their interests. Sync emails with the appropriate timing: The ideal time to dispatch emails marketing your business’ products is when a user has either subscribed to your newsletter or made a recent purchase. Get creative with the content: A bunch of photos aligned with colourful enlarged text are always pleasing to the eye and carry high chances of being glanced over. Use A/B testing: It is good to administer user responsiveness to such emails by dispatching them to selective users. Moreover, machine learning can be employed here to improve the titles of these emails as per user responsiveness. Q&A websites like Quora and Stack Exchange are some of the highest ranking websites due to the immense influx of user traffic and engagement. Undoubtedly, answering questions that circumambulate your area of expertise may attract potential readers to your website if they like your answers. For instance, on a plethora of tech-related questions on Quora, experienced professionals answer them in a way promoting their own product(s) which could be a potential solution to their problem, thereby guaranteeing site traffic from readers of those answers. In order to ensure success from here, it is of crucial importance that a proper profile (entailing your complete business background and website URL) is built on such websites. Furthermore, keywords that pique your interest or are of your expertise should be selected, so questions pertaining to those areas should pop up first on your Feed. In a nutshell, SEO is but one of the many cogs in the wheel of driving website traffic, and it is wise to not let the other cogs such as social media, video content, guest blogging, online advertisements, email marketing and Q&A websites get rusted. 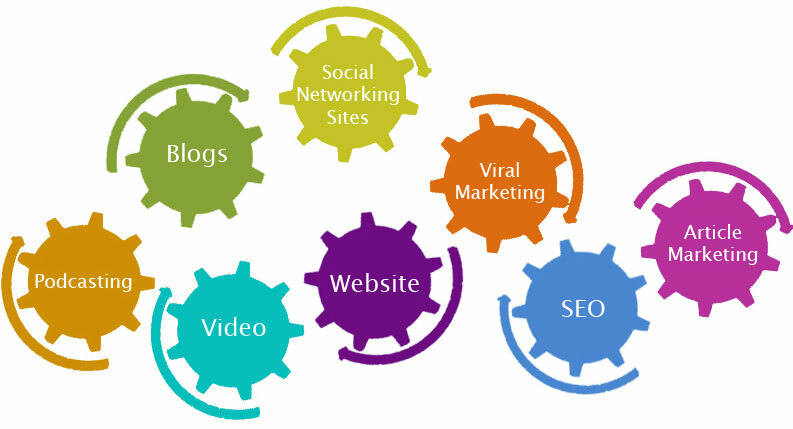 Together when these cogs work in harmony with each other, the wheel can turn more smoothly and ensure greater and diversified traffic to a website which is the element in the success of every online business.